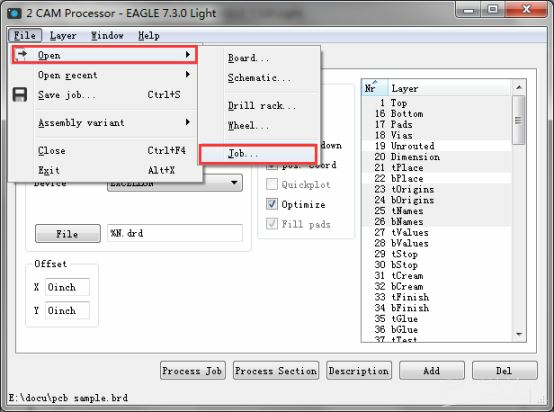 Before generating Gerber files from Eagle, firstly you need to confirm the silkscreen is on single side or double sides, because only the top silkscreen layer (tPlace and tNames) would be generated by default in Eagle software. 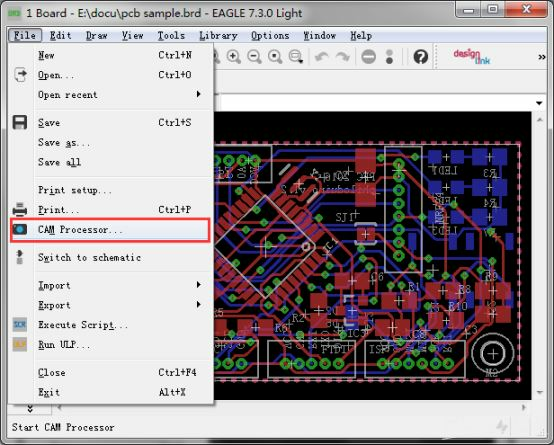 When your PCB has double sides silkscreen, you need to add the bottom layer as well (Dimension, bPlace and bName). 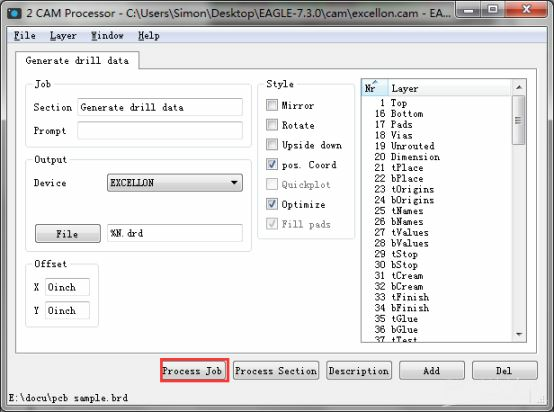 If there is any milling design in your brd file, please add extra outline layer and check the"Dimension" /span> "Milling". 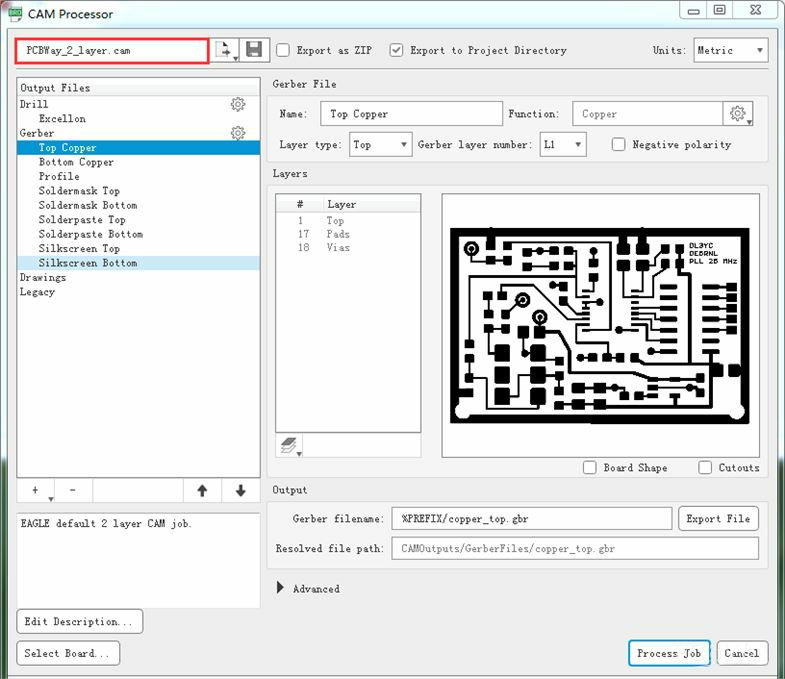 After following the 4 steps you will have all the necessary files needed for PCB manufacturing. 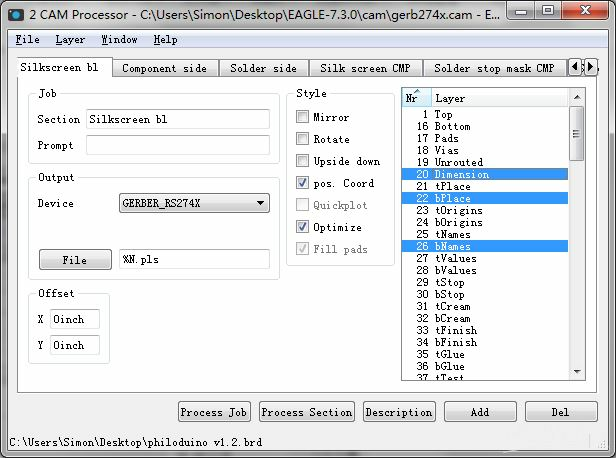 Please note: When it is the double layers silkscreen of your PCB, you need to add the bottom layer as well in the CAM Processor (20 Dimension,22 bPlace and 26 bNames). 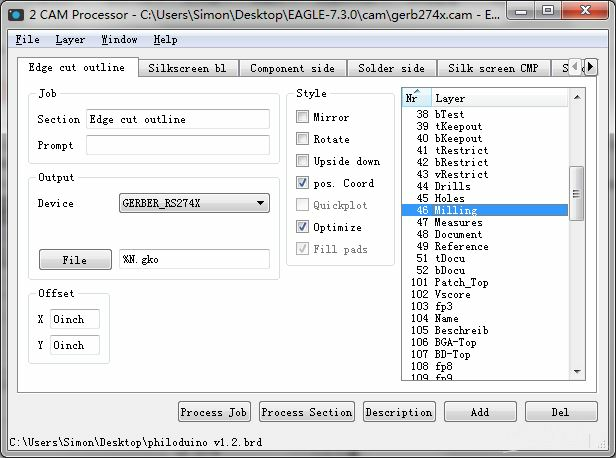 If there is any milling design in your brd file, please add extra outline layer and check the "20 Dimension" and "46 Milling". 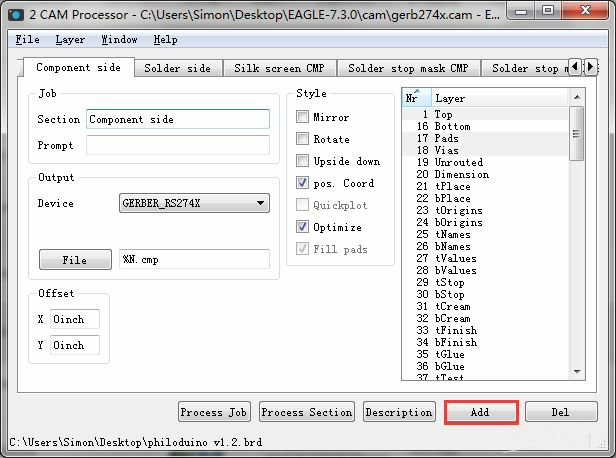 Click "Add" --> Change Section to something like “Edge cut outline”-- > Change File to “%N.gko”--> Deselect all layers --> Select layers 20 Dimension and 46 milling.